I don't know about you, but I have been in a crafty mood lately. Unfortunately, I've had zero time to craft or decorate over the past few months, but it doesn't stop me from looking at cute ideas online! 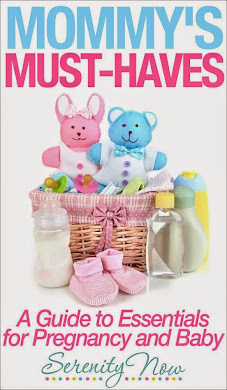 Today, I'm happy to share the blog with Bonnie and Trish from Uncommon Designs! 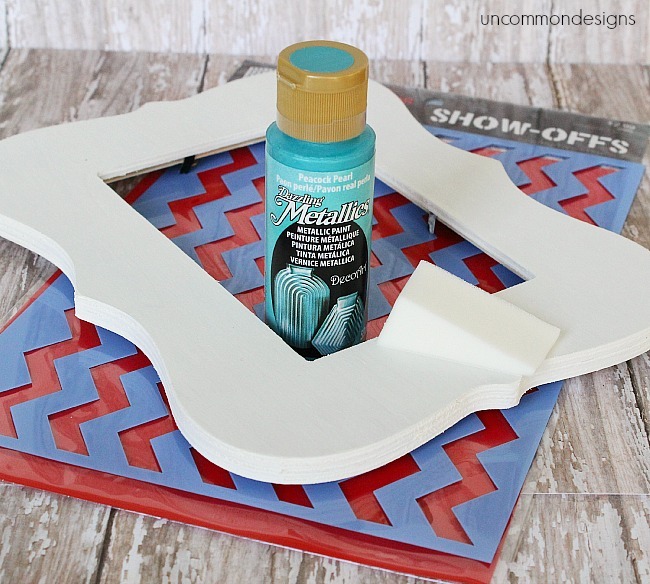 They have an adorable DIY Mini Chevron Chalkboard to show off. Hey Y'all! We are Trish and Bonnie, and we blog over at Uncommon Designs. 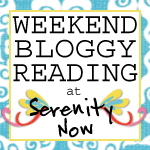 We are so happy to be guest posting today at Serenity Now for sweet Amanda, as she enjoys some snuggle time with her new little one. We love a simple project and this one is just that! My daughter was wanting to spruce up her room a bit, and add some touches of turquoise and chevron. In addition, she is all about chalkboards. Step 1: Paint the unfinished wooden frame white and allow to fully dry. 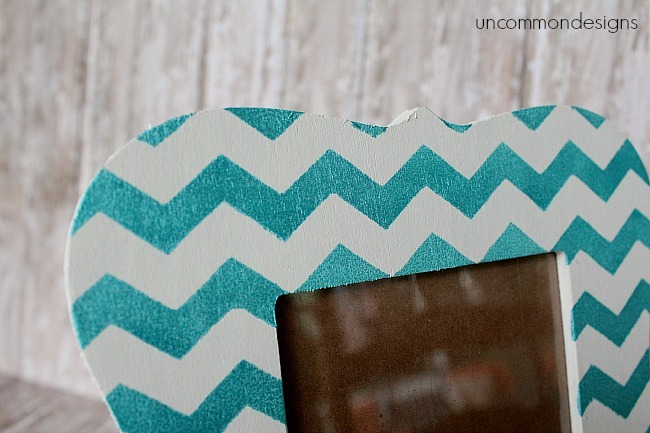 Step 2: Stencil the chevron design onto the white frame using the metallic paint. Apply with the cosmetic sponge using a gentle up and down motion. I love this Peacock Pearl color and the sparkle it has! I simply followed the directions on the back of the Chalkboard Paint, and painted directly on the part of the picture frame that goes into the back of the frame. 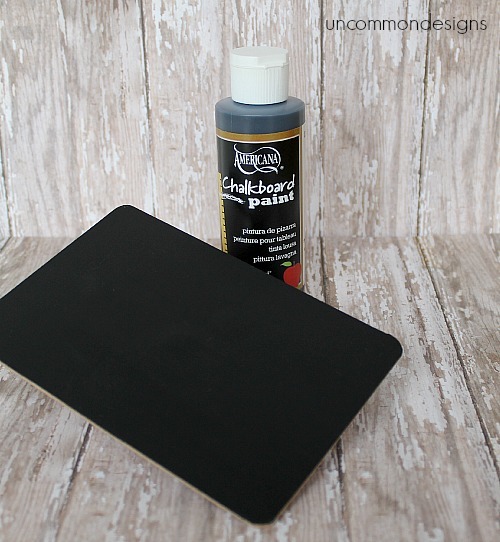 HINT: Don't forget to season the chalkboard once it is completely dry, like I did on these Chalkboard Paper Tags! 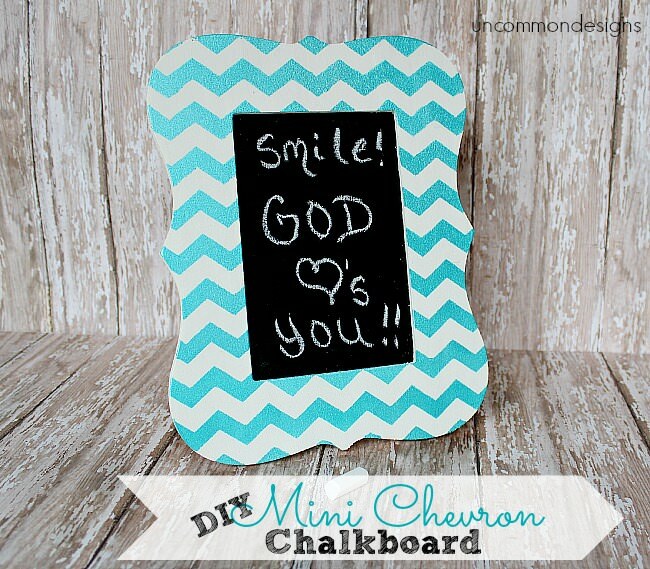 Once you have seasoned the chalkboard, simply place it into the back of the frame and you are done! My girl loves that she can use this as a chalkboard, or if she decides to put a picture in it instead, she can do that as well. I love that I can check off a project from my list that she has been asking for! Sweet! Need another great and simple project for a teen? Be sure and check out the Jewelry Organizer I made for my daughter as well. We would love for you to come visit us over at Uncommon Designs ! A big THANK YOU to Amanda for having us over today! Thank you, girls! I can't wait to get back in the saddle and start crafting and fluffing my nest again! One of these days, the stars will align and I'll have the time. How do you season a chalkboard? 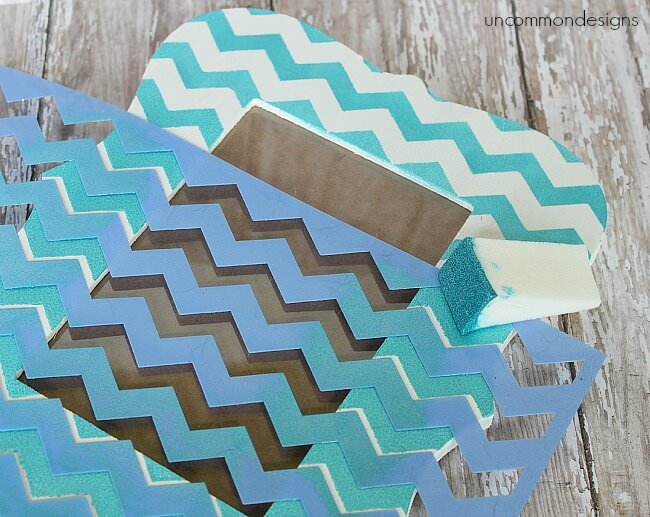 I love this craft idea but need more directions. Thanks!